So, I went through a lot of phases of feeling during this book. There were times when I couldn't stop complaining about it, but then I'd sit down and read it for an hour without stopping, needing to know what happens next. To briefly summarise, Mike is a witch with crazy amounts of power, and in the past he had the Bands of Binding put on him, which dampen that power. He did this for mysterious reasons! But don't worry, you will learn about them! So suddenly, his best friend Drew shows up with his soul-bound partner Jerome, telling Mike that someone from his past wants him dead, and thus the adventure begins! Most of the book follows the three of them as they try to make it to Brazil where a magical council will be meeting to figure this whole mess out. On the way, Mike proves to be rather emotionally volatile when it comes to love interests, in a way that is mostly endearing though sometimes a bit jarring. Now, on to the critiquing! First, I had issues with the writing. Some of the dialogue felt a bit unnatural, and I definitely felt that there were not enough contractions (people say "don't" a lot more than they say "do not" in natural speech, for example). So sometimes that could disrupt the flow a bit. When I'm reading dialogue, I don't want to notice the writing style. I want to be able to get caught up in the conversation. On the other hand, I really did enjoy the story. I love the whole premise of the book. 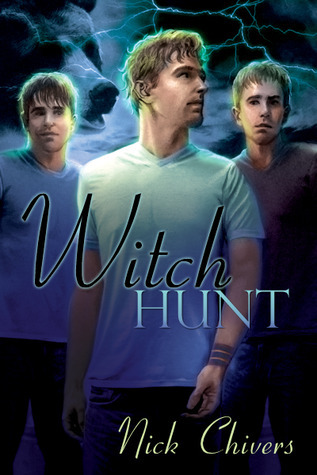 The witches have really cool powers, the characters are likable, and I enjoyed the ending. Overall, I just feel like it could have used a bit more depth. I liked it, but wanted more out of it. The characters were good ideas for characters, but I felt like for some of them I didn't get enough background, enough personality. I definitely would have liked more out of Rick, because I love the whole "forest guardian" concept of his character. So, I would rate this book a somewhere-in-the-middle. It gets high ratings in some areas and low ones in others, balancing out to right around the middle. Full disclosure: Free ebook copy received from the publisher. Great review! I agree with you. I think unnatural dialogue is very distracting but it is something that can be fixed unlike a boring plot. I'm a new follower. Hi Lissa. I agree that that can be annoying. I personally did find the story enjoyable, and found that the world-building stuff does decrease later in the book.